Second Life Tutorial: Basic Dynamic Lighting with Light Boxes A simple way to use light prims to create dynamic lighting effects with very little effort. All you need are build perms. 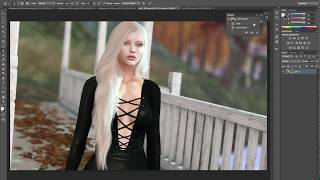 SL Tutorial: Anya Ohmai's Depth Map Method Create a depth map with windlights and photoshop. Created using Anya's method and windlight here https://www.plurk.com/p/mesvw1 Thanks so much to Anya for teaching us how to do this and for the windlight!